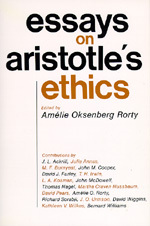 Aristotle's Nicomachean Ethics deals with character and its proper development in the acquisition of thoughtful habits directed toward appropriate ends. The articles in this unique collection, many new or not readily available, form a continuos commentary on the Ethics. Philosophers and classicists alike will welcome them.